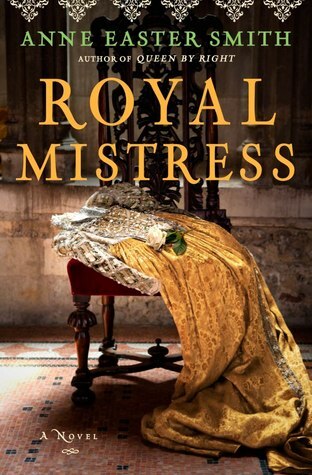 Synopsis: From the author of A Rose for the Crown and Daughter of York comes another engrossing historical novel of the York family in the Wars of the Roses, telling the fascinating story of the rise and fall of the final and favorite mistress of Edward IV. This week's subject is Top Ten Words/Topics That Instantly Make Me Buy/Pick Up A Book I have included an example of a book that I have bought that fit my words. What words make you pick up a book? My review: I am not one to typically read parenting books but I was asked to read this and do a review of it so I thought why not. After reading this I have to say I did enjoy it and all it had to offer. I think this is a good book to read when you are starting out your family of if you already have children. One thing I liked about the book is the pause and reflect portions as they really make you stop and think. I loved how in the praying for our kids they took the song Head and Shoulders, Knees and Toes and used it help teach everyone how to pray. Another thing that is enjoyed was the personal stories that were offered to help guide us along. You can use this book in a group setting or just on your own. 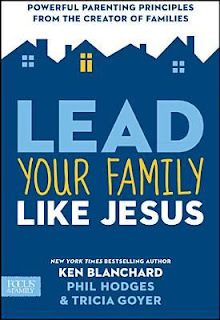 I would recommend this book to any parent wanting a little guidance that is easy to understand and follow. I received this book in exchange for a fari and honest review. I give it four stars. Synopsis: As the lone female in a houseful of men, Merrill Krause dedicates her life to caring for her family and their business, as her dying mother asked. Besides, it suits her; she's never felt like she fits what most people expect in a girl--she'd rather work with her father's horses and assist with the ice harvest. And though she's been mostly content up to this point, a part of her wonders if there will ever be anyone who will notice her amid the bevy of brothers determined to protect her from any possible suitors. My Review: This is the first book in a new series by Tracie. In this book we learn about Merrill who has been taking care of her father and brothers since her mother's passing. Next comes Rurick, he has moved to town to learn to be a carpenter like his uncle. Can Merrill learn to love Rurick or will his past get in the way? As with other books I have read by Tracie in the past this book did not disappoint. 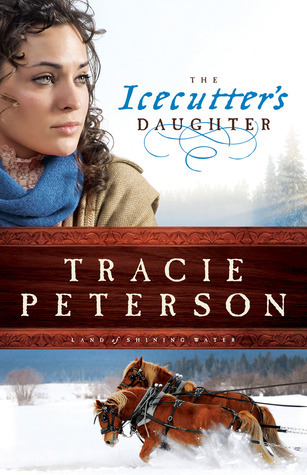 I love the historical aspect of this book and that we get a little of the history of ice cutting along with the story of two people that thanks to the author are easy to fall in love with. I think the author die a good job of showing how relationships between the characters progressed. I feel a sense of my own history being told here even thought I can't say we had icecutters in our family but my family settled in the Midwest. Tracie also does a nice joy of adding the faith each of the characters have into the story. I look forward to the next book in this series. I received this book from Bethany House in exchange for a fair and honest review. I give this book 5 stars. Synopsis: Is there really a place in God's heart for a defiant child? In His divine plans for a self-centered teenager? In His family for an adult who gets tired and impatient? In a memoir of missteps and misdeeds, Deanna Nowadnick writes of the hugeness of God's love and faithfulness. Reframing life in God's grace, she discovers an indescribable, indefinable, inexplicable love that has encircled her without fail through joyous, sad, cringe-worthy, heartwarming, forgettable, memorable moments in life. Fruit of My Spirit is for anyone who's ever questioned God's ability to love and forgive, who's ever wondered about their place in God's family or God's place in theirs. Nowadnick offers hope for those who dare to question, who secretly wonder, and who fear to ask. Through stories of love, joy, peace, patience, kindness, goodness, faithfulness, gentleness and self-control, you will experience the enormity of God, too. This is Deanna Nowadnick's first book. What started as short story for her sons quickly became a larger story. When not writing, she serves as the Client Service Coordinator for a financial advisor. She's active in her church, playing the violin and editing the monthly newsletter. She loves to knit, adores chocolate, and most important, enjoys a blessed marriage to Kurt. Deanna lives in Monroe, WA. My Review: The author of this book used her first hand life experiences to tell how to deal with real life using the Bible. Although I don't read a lot of books like this I think it was a nice book and a quick read. I would read one chapter a night as they are short and take no time to read. I like the fact that this was told by someone who could be anyone you know or even yourself, she is not perfect and admits she made mistakes in life. Then she tells you how she used the Fruits of the Spirit to change her life. DeAnna reminds us that God is there for you no matter what life is throwing at you. 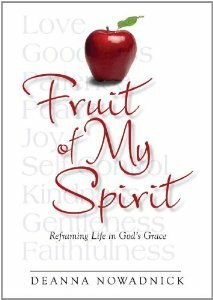 If you are looking for a book to help you see how to use the Fruits to handle everyday life this is the book for you. I received the book from the author for a fair and honest review. I give it three stars. Synopsis: When her country needs her, will she have the courage to surrender her glittering world and her one true love? 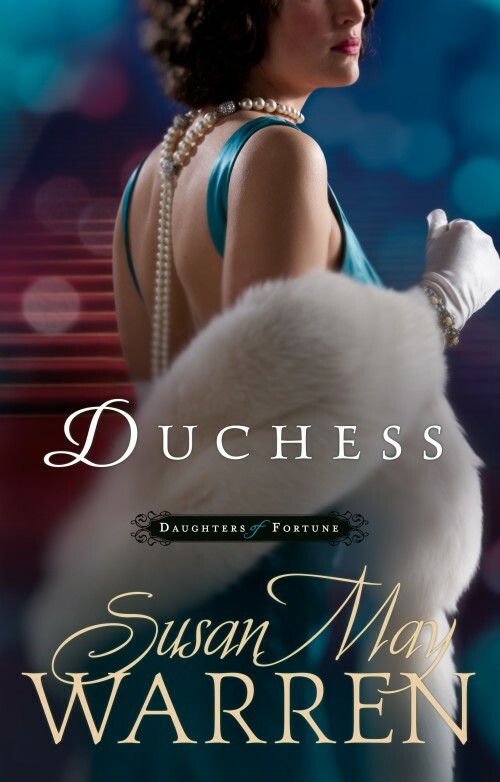 My Review: This is the third book in the Daughters of Fortune series. In this book we hear the story of Rosie now known as Roxie Price on the silver screen. Rosie had it all until Black Friday then she is penniless and turns to Rolfe for help, but he is not all that he seems to be. This is the first book I have read by Susan. I have the other two in this series but time ran out on me so I had to read the last one first. I really enjoyed Susan's writing style. She makes me feel as if I am right there and becoming friends with Rosie. Susan has a way of writing that makes the story flow. I am not usually a fan of this time period but the way this was written I found myself enjoying the book and wanting to hurry back and read the other two in this series. Rosie's character is written as if she is a real person which makes the book that much better. If you are looking for a nice read with some strong characters then I recommend this book to you. I would suggest you start with book one although you don't have to, I just personally like to read books in order. I also liked how everything had a nice ending and did not leave the story dangling. I received this book from Litfuse for a fair and honest review. I give it four stars. 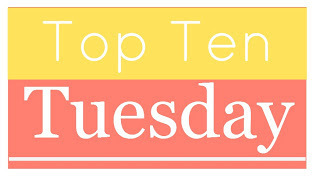 This week's subject is Top Ten Books I thought I'd like MORE/LESS than I did. Here is my list of ten books that I thought I'd I like more than I did. 1. The Girl with the Dragon Tattoo by Stieg Larsson - I liked parts of this book but I struggled through at lot of it and was hoping it would have moved along faster. 2, The King of Torts by John Grisham - I have loved everything but two books that John has written and this is one of them. I liked it but not loved it, kind of slow moving for me. 3. All Creatures Great and Small by James Herriot - This book sounded so good and I like to read about animals but I struggled through this book and don't think I finished it even. 4. Beloved by Toni Morrison - This book gave me nightmares the whole time I read it and even when it was in my house. 5. Three Cups of Tea by Greg Mortenson - Everyone loved this book so I read it with some friends but to me it was very boring. 6. A Man Named Dave by Dave Pelzer - I enjoyed reading the other two books that Dave wrote about his life but this one kind of let me down. 7. Coming Out by Danielle Steel - I have read a few of Danielle's books and they just moved right along but this one was nothing what I was expecting at all. 8. The Art of Racing in the Rain by Garth Stein - This is another book that everyone I know who has read it has loved it but me. I thought it quite boring. 9. A Painted House by John Grisham - This was not a typical John Grisham book and I felt it a little depressing. 10. Divine Secrets of the Ya-Ya Sisterhood by Rebecca Wells - Another book that I wanted to like because everyone else does but just not my cup of tea. I have learned that if everyone says a book is the next best thing since sliced bread I may not like it. I guess I build it up so much in my mind that I feel let down when I go to read it. 1. The Shack by William Young - I was not sure about this book when I was asked to read it with friends, but I am glad I read it. I loved it from page one. 2. The Help by Kathryn Stockett - This is one book that I can say everyone I know that has read it loved it and so did I in fact this is one book I think I could read a second time. 3. The Year of the Fog by Michelle Richmond - I was not sure about this book when I picked it up to read it with some friends, but it sucked me in from page one and I could not put it down. 4. The Last Lecture by Randy Pausch - My mom gave me this book to read and I really did not think I would like it but it was a very moving book and I am glad I read it. 5. Sunday at Tiffany's by James Patterson - This was the first book I read by James Patterson and I knew he did mysteries so I thought he might not do good with another non-mystery book but I loved this book, I read it in one day I think. Proof he is good not matter what he writes. 6. Killing Lincoln by Bill O'Reilly - My mom bought this book for me and I thought it would not be good at all just because of who wrote it but I was wrong to judge it. I learned a lot from reading this and enjoyed and now want to read his other book. 7. The Girl in the Glass by Susan Meissner - I got this book to review but was not too sure of it, but I am so glad I read it, it made me fall in love with a part of Italy I did not know much about and I found a new author. 8. The Rose Garden by Susan Kearsley - This was a new author to me and I was unsure of the book but thought I would give it a try and am glad I did, now I want to read more of her books. 9. Wildflower Hill by Kimberly Freeman - Again this is a book I was asked to read with a friend and ended up loving it even though when I got it I did not think I would like it. 10. It Takes a Witch by Heather Blake - I don't normally read books that have a witch and magic in them but since I am a cozy fan I wanted to try it and I love this series and am getting ready to read the newest one in the series. What are some books that you loved or hated? I would love to hear about them. 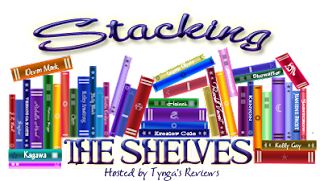 If you want to find out more about Stacking the Shelves or the guidelines, please visit the official launch page. 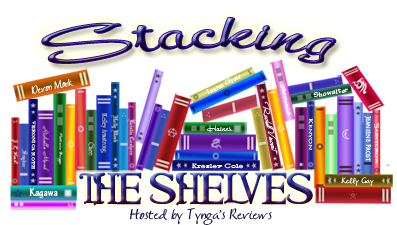 You can link your blog here and see other's stacks. Here is my stack that I have received since my last post on April 1st. What books have you received lately that you would like to share? I am always looking for good books. This is my first author interview and I am excited to have it have been Nancy. I enjoyed her books, The Crown and The Chalice and hope you will too. I know this is an often asked question but I would like to know where do you get your ideas for what to write about and how long does it take you to do your research? The ideas come out of the air. I seriously don't know where the inspiration for The Crown came from, beyond speculation: "I wonder if I could write a thriller set in the 16th century..." I set myself a challenge in a fiction workshop. For The Chalice, I had the characters and thought, "OK, now what would happen?" Research takes me a long time because I want to get it right. For The Crown, it took five years to research and write the book. For The Chalice, I took a year off from magazine work to concentrate on it. What drew you to write historical fiction? What do you like most/least about it? It was my favorite genre when I was young—I inhaled the books of Norah Lofts, Jean Plaidy and Mary Stewart. I’ve read it ever since, I think I love to escape into past worlds. Also, I am a huge history nerd. I’m interesting in many different periods and countries. I guess what I like least about it is that some historical fiction is a little corny or flowery. Although Ken Follett and Bernard Cornwell are proving that historical fiction can be quite action-filled, if not brutal. What genre of books do you like to read in your spare time? Do you have a favorite author or book you would like to recommend to us? When you become a professional novelist almost everything becomes fodder. 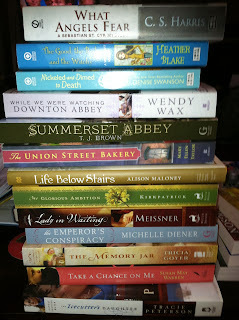 I read historical novels or thrillers to keep up with the genre or to follow friends’ work. I read nonfiction to inform my writing. The best nonfiction books I’ve read in the last year were The Winter King, by Thomas Penn, and The Favourite, by Mathew Lyons. The level of the writing in both was outstanding. I really don’t have much spare time, because I am a mother of two and a magazine editor. But I do have books that while I can learn from them, a lot of why I read them is for pleasure. I enjoy the Sookie Stackhouse books by Charlaine Harris, for example. Paranormal stories are fun. What books and/or authors have most influenced your life most? Anna Sewell’s Black Beauty, Daphne du Maurier’s Rebecca,Tolstoy’s Anna Karenina, F Scott Fitzgerald’s The Great Gatsby, Edith Wharton’s The Age of Innocence, A.S. Byatt’s Possession, Robert Graves’ I, Claudius, and Antonia Fraser’s Mary Queen of Scots. What do you think is the best/worst thing about being a writer? It’s wonderful to be like a magician and invite people into a story I’ve created and know that each person will see Joanna and the rest of the characters a slightly different way. I find that fascinating. What’s the worst thing? Probably the uncertainty of it all. Although it’s no more uncertain than the magazine business. If you could be any person in history who would it be and why? Tell us five random things about you. I can draw a horse. I saw Bob Seger three times in concert before I was 21 years old. I always cry when I watch A Christmas Carol and Scrooge’s sister dies after giving birth. My favorite part of the weekend is making pancakes on Saturday morning. Thank you for taking this journey with me, and I am very excited about writing Joanna’s story. She’s real to me, and I hope that while you’re reading, she’s real to you too. How can fans get in touch with you and where can they find your books? My author website is a place to get in touch. The email there that people can use to connect with me is tudorscribe@gmail.com. My books are on amazon and in bookstores. The website has all the links to online stores, for both e-books and print. I am on twitter: @tudorscribe. 1. Never ever bend the corner of the page to safe your place, use a bookmark. 2. I match my bookmarks to my books, If I am reading a historical book, I pick a historical looking bookmark, if I have a bookmark from the author that wrote the book I will use that bookmark. 3. I like to have all of my books organized by genre, author and then size. I recently tried something new with organizing my books but not sure yet if I like it. 4. I never leave home without a book - they are like a security blanket. 5. No one touches or moves my books as they don't want me to yell - they say I am too picky about my books. 6. I do not loan books out, I did at one time and someone cracked the spine by bending the pages back too far, the lending was over then. 7. 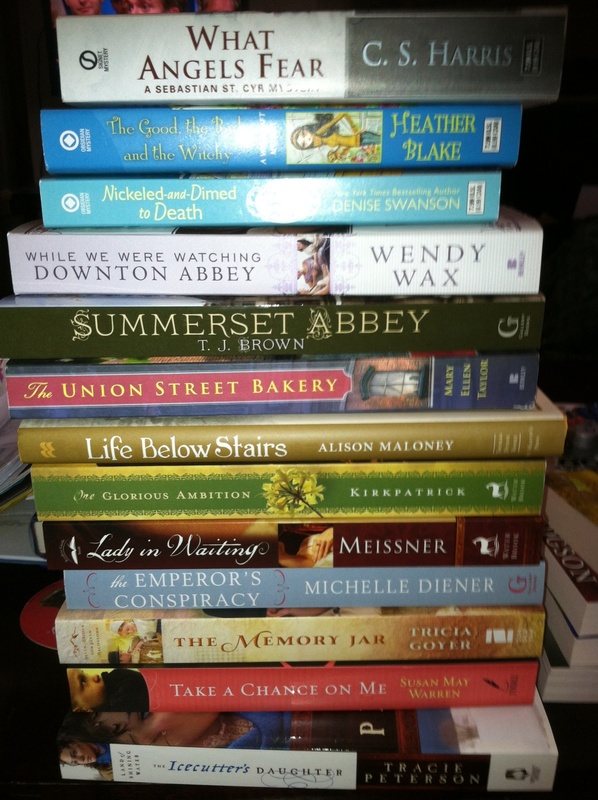 I keep lists of books I want to read/buy someday. I have lists in my phone and email. 8. When I go somewhere new I like to go to new bookstores to see if they may have something I can't live without. 9. I always have my book next to my bed as I can't sleep without it there. 10. I don't read more than one book at a time. I like to focus on the book I am readig.